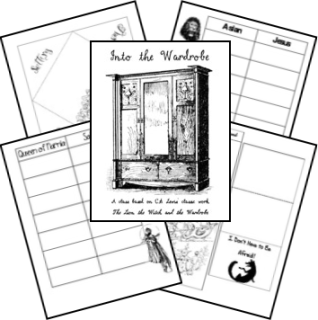 I had a small but smart group for Into the Wardrobe. 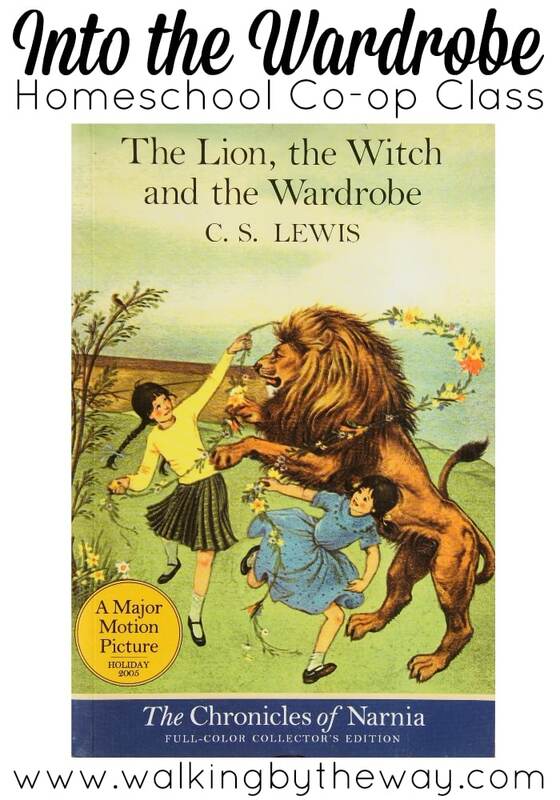 We were truth seekers and critical thinkers as we read through the classic book, The Lion, the Witch, and the Wardrobe, by C. S. Lewis. My lesson plans for this class are somewhat shaky, but here they are. They were really just notes for me, but I hope you can glean something from them. I tried to make this class interesting and thought provoking. We listened to the chapters in class; I highly recommend this version (I purchased mine used on Amazon, and we have enjoyed it a zillion times over in our homeschool!). You'll find the syllabus below. 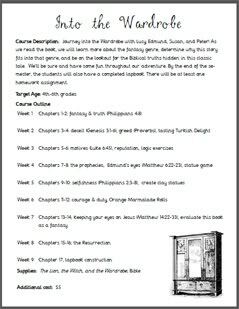 Click on it to read through the class description, target age group, outline of classes, supplies needed, and materials fee. We discussed the text. We looked up verses and pulled truth out of the book and The Book. We also made clay statues, tried Turkish delight, gobbled up some orange marmalade rolls, assembled lapbooks, and played a statues game. 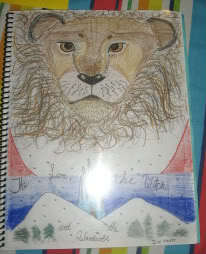 Some lapbook pieces were from Homeschool Share. You can download the others by clicking on the picture below. Let me know if you have any questions about this class! What a great lesson plan… I know my son and his class in the fall (4th grade) would love something like this… Maybe I’ll plan it for winter term. I love this idea for a co – op class! Did you read the chapters to your students, or have them listen to an audio recording of it? Also, would you recommend the students read the chapters before each class session? Love the lapbook pages! I will be teaching a class in our co-op during the winter months and hope to use your resource. I just printed the pages though and the font did not come out like the document shows (the fonts are squished and look to be done in ariel, yet they are so pretty on the document). Do you have any idea why this happened? What audio version did you use? Also, how long were your class periods? Our Co-Op has classes about an hour long. I am so sorry! I don’t know what happened. Possibly try again on another printer? How did you assemble your lapbook? Hi, I am excited to be using your lesson plan in our Co-op this coming fall. Just had one quick question. Our class is only 45 minutes. Do you think we will be able to listen to the audio, do the lapbook work, and have discussions with 15 less minutes. I think it will be a bit harder. I would assign some reading out of class OR assign some of the lapbook printables to be finished outside class. You could also do a smaller lapbook or have less discussion time. We used spiral notebooks instead. This made it easier for the children to choose their own lay-outs. 🙂 Each one was different! thank for you this resource! I am going to use it for our homeschool co-op. I love the details on your worksheet and will be uing that as a guideline for my projects and discussions! Thanks for sharing! What is the length of class these lessons were set up for?